Driving to Stonehenge, in Southern England, you will feel certain your GPS has gotten you lost. Keep going, Stonehenge rises out of nowhere and is so impressive. Stonehenge sits on farm land 8 miles north of Salisbury, a beautiful area of England. The stones are massive in size and geologically match the rock found in Wales and Ireland. The formation goes back to 3000 BC, and is believed to have taken 1500 years to build. So it is a fair supposition that it was built when the Ireland land mass was still connected to Wales. The druids historically used this area for burial and celebrations of the equinox. There are many burial mounds around the area of Stonehenge that are the size of a cottage. They are now covered in grass and could easily pass for rolling hills. This could very well be a sacred place as well as a scientific quandary. Onto to Salisbury for a bit of lunch, any pub in the area will do. Salisbury is a quaint city with streams and swans in the parks. Salisbury is famous for the chopped beef steak and gravy dinner which bears its name, but it is much more than that. Check out the university there, it is full of history, too. The main reason to go to Salisbury is the Salisbury Cathedral; it is a huge structure and well worth your time. It holds one of the six original copies of the Magna Carta! This magnificent building was built in the 1200’s. Take your time to read up on the history before you get there. Enjoy this lovely part of England. 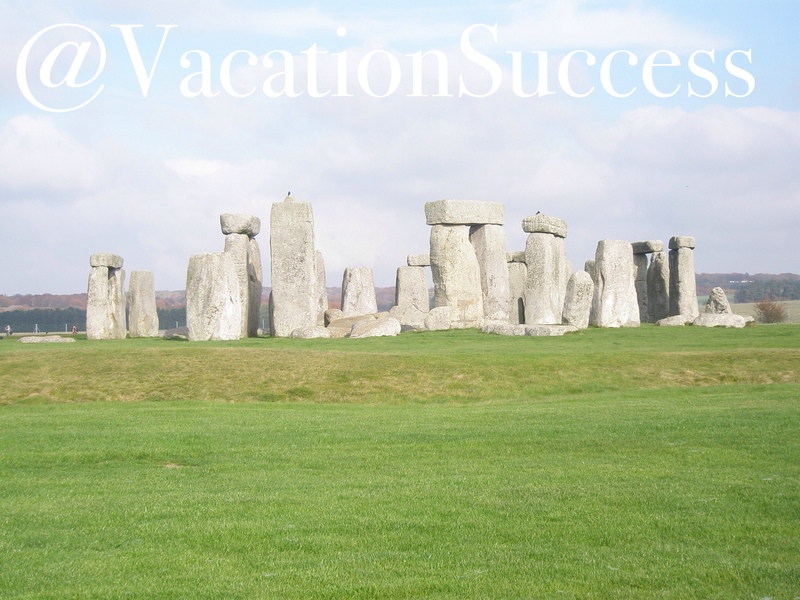 Follow us on Twitter and Pinterest @VacationSuccess or subscribe to our blog.